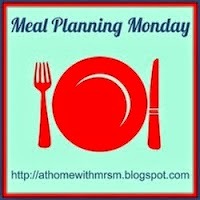 I don't want to miss a week of the Meal Planning Monday post on my blog - partly because I will lose track of what number week it is otherwise! But there isn't much to say for this week as I am on holiday in Mexico! If you fancy leaving a comment why not tell me what your favourite Mexican dish is, and I will look out for it when I'm there!